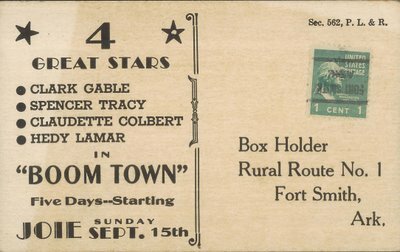 Back in those hallowed days of grassroots showmanship, and long before TV and internet saturation became the norm, local exhibitors often got the word around by way of direct mailings. 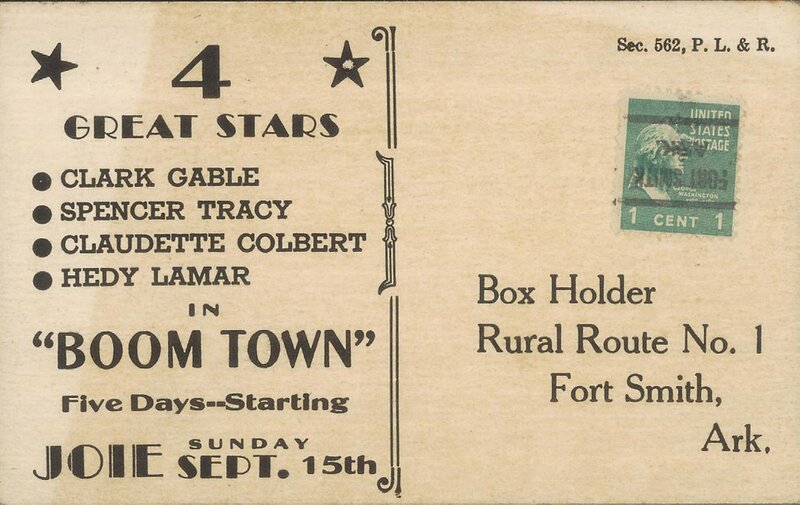 Colorful heralds would go out with the post, or with newspapers, to potential patrons, but economy-minded theatre men relied on simple postcards such as this one to spread the word. 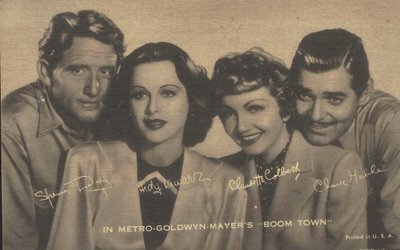 Boom Town was Metro's biggest special of 1940, and I suspect a five-day booking in Fort Smith, Arkansas would have been considered a long run in that community.